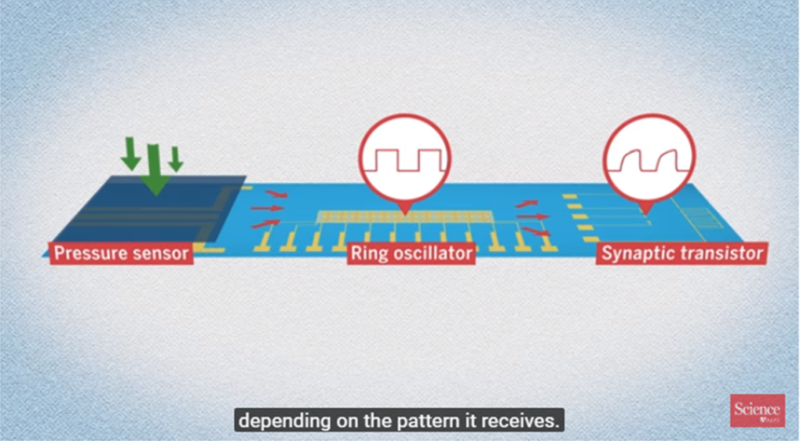 Biomimetic hierarchical structures can detect movement of an object, combine simultaneous pressure inputs, and distinguish braille characters. 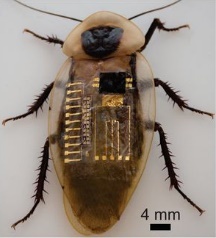 The combination allows for the sensing of multiple pressure inputs, which can be converted into a sensor signal and used to drive the motion of a cockroach leg in an oscillatory pattern. Raphael Pfattner, now ICMAB researcher at the NANOMOL group, and at that time at the Department of Chemical Engineering of Stanford University is a co-author of this article, publised in Science. Raphael did his PhD at ICMAB (2011) under the supervision of Concepció Rovira and Marta Mas-Torrent on organic electronics. Figure: Discoid cockroach with an artificial afferent nerve on its back.